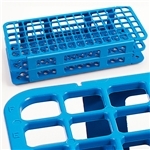 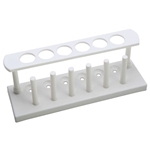 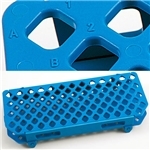 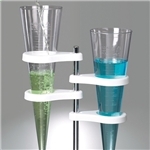 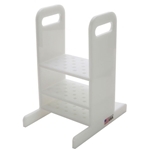 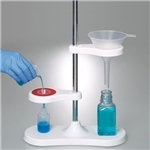 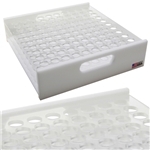 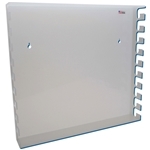 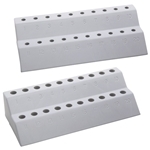 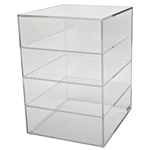 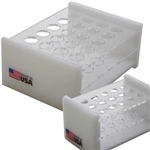 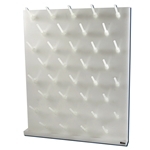 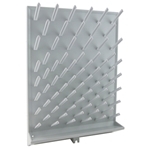 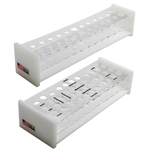 Dynalon Labware stocks and fabricates plastic racks to fit many needs. 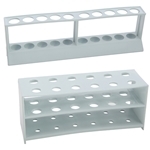 We have a wide variety of plastic tube racks, drying racks, burette racks and also the ability to make custom racks in our Rochester, NY custom fabrication facility. 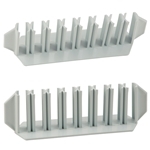 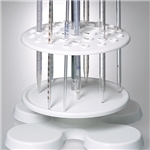 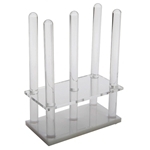 The Kartell Wet/Dry Test Tube Rack shown at left is for tubes up to 20mm provide excellent stability with no tendency to float or move in circulating water baths. 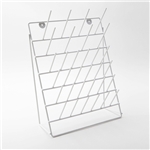 An alpha numeric grid reference on the top tier enables precise location in the rack of particular samples. 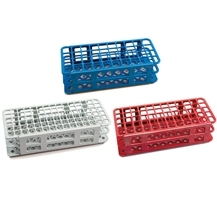 Available in three colors for easy identification. 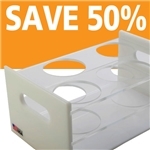 Shipped flat, easily and permanently snapped together to save shipping expense and reduce shelf space needed in storerooms.